Tema en 'Ebooks & Tutoriales' comenzado por arnoldswait, 4 de Noviembre de 2013. The latest research on astronomys biggest questions. 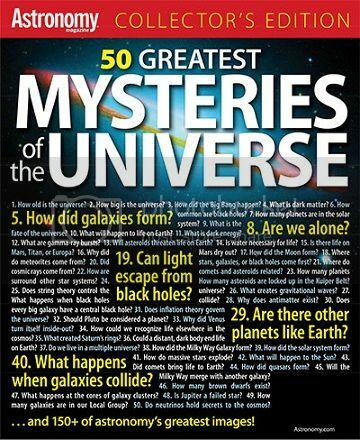 50 Greatest Mysteries of the Universe is an astronomy buffs dream book! The latest research on astronomys biggest questions. How old is the universe? Are there other planets like Earth? How do massive stars explode? Why does antimatter matter? What role does string theory play? Cutting-edge science written in easy-to-understand language.